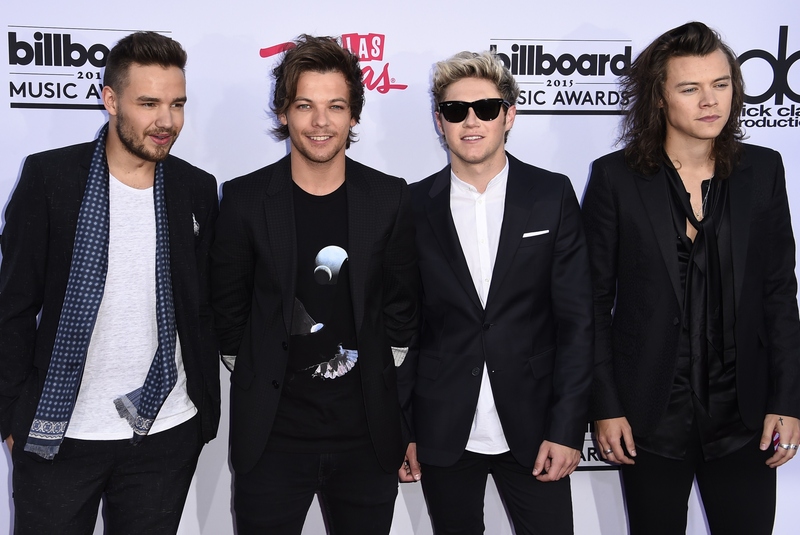 One Direction have just launched their fourth fragrance, dubbed "Between Us." It's designed with their female fans in mind, but guess what? The One Direction boys have favorite beauty and hygiene products, some of which were surprising and super cute. Let's face it. There is nothing wrong with caring about your appearance and skin when you are male. It's also totally cool to sample women's products when you're a boy. Same goes for the reverse, as women using men's products is also a thing and totally acceptable. Everyone has a right to pamper themselves. But One Direction are constantly in the spotlight and under the glare of harsh flashbulbs. They are also superstars. So they have to look their best as often as possible. It's not shocking they have an array of fave products. So when Liam, Harry, Niall, and Louis pulled back the curtain to reveal some of these items to Cosmopolitan's UK edition, I immediately perked up. I was totally interested in what stuff each of them flocks to. As it turns out, they are big candle fans, which makes sense, since life on the road and all that traveling means being surrounded by some pretty funky odors. Directioners, here's some product suggestions, courtesy of 1D. Payne said, "We get a lot of stuff for free too, and I grew up with sisters so I was always trying their stuff — not the weird s--t like false eyelashes — but there's this one moisturizer by Bobbi Brown that I use. It's wicked." I expect an uptick in Bobbi Brown lotion sales among the under-21 set after this reveal spreads, even though we don't know exactly which moisturizer it is. 2. Niall Horan Is A Candle Man! Mr. Horan is a Candle Man, not Candy Man! Seriously. He said exactly that, telling Cosmo, "I'm a big candle man. I like Diptyque ones best, and I always have about five or six on the go at once. And one in the kitchen if I've had a curry." Mmm. Sounds like Horan's world is well-scented. His current cologne? It's by Hugo Boss. When asked how many candles he's burned at one time, Styles got specific. "Single wick or multiple wick?" he asked. "Do multiple ones count as one candle? Lets go per wick... about 10. Maybe 20. I don't like to go too far; it gets less romantic and more sacrificial if you have too many." Okay, but that still sounds like he likes a lot of candles. Swoon. LT is the funnyman of the group. He didn't even know what eyebrow threading was when asked if that's a process in which he engages. He's au naturel, saying, "Threaded? What? What does that mean? How do you have them threaded? I do nothing to mine. They're all totally natural!" Both LT and Niall admitted that Joop! was their first scent because their dads wore it. So cute. Louis confessed, "I used to steal my dad's Joop! and that was strong. One spray and you can smell it from 50 yards away! I always used to put too much on." Something tells me Directioners wouldn't mind a cologne OD if it meant getting close to LT! Niall revealed, "I probably wore Joop! because my dad wore it." Maybe moms of Directioners or of the One Direction boys can wear Between Us?